Huawei Technologies Co Ltd, the world's second-biggest maker of telecom gear measured by revenue, challenged recent reports saying it had cut large numbers of jobs. But it did not exclude the possibility that it would lay off staff members while it struggles with intensified competition and other difficulties, according to a senior executive at the company. The executive, who requested anonymity, told China Daily on Tuesday that the company had made no recent large-scale reductions in the size of its staff. He did say, though, that Huawei has made staff changes, such as dismissing incompetent employees and occasionally transferring employees from one department to another. "It is common to see companies cutting positions when they are faced with adversities," he said. "The latest examples could be Nokia and Hewlett-Packard." Huawei could have a difficult year in 2012, he said, noting that the company has recently had to deal with intensified competition and has been the subject of investigations by both the United States and European Commission, the executive body of the European Union. Even so, he wants to see it improve its performance by lowering its costs rather than dismissing employees, he said. The reports of job cuts at Huawei first came from a micro blog posted at the end of May by Tong Jingguo, general manager of Shenzhen Huajing Management Consulting Co.
Tong said Huawei was about to lay off 10,000 employees from various units of the business. He did not reveal the source of that information and said the reductions would be the result of adjustments to the company's business structure. Chinese media quickly picked up the news and reported Huawei would probably start reducing the size of its overseas staff. "These are nothing but rumors and Huawei has no official statement on this matter," a Huawei spokesman said on Tuesday. But industry insiders and some Huawei employees said small personnel adjustments have occurred within the company recently. 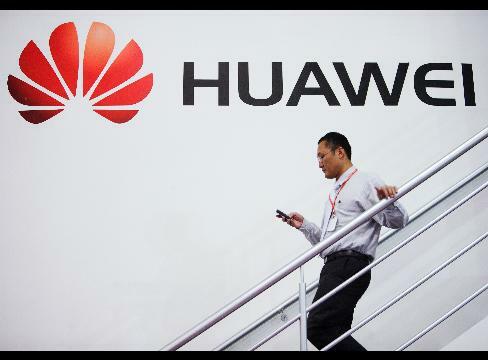 Zhang Lihua, a former Huawei employee, said the company's revenues are still increasing, making it unlikely it will let large numbers of people go, Zhang was quoted as saying by China Business News. "Huawei may suffer from having been too aggressive in exploring new business opportunities in the past two to three years," said a Beijing-based telecom industry expert, who asked to be anonymous. Because of the sluggish global telecom infrastructure market in recent years, sellers of telecom gear, including Huawei and ZTE Corp, have been trying to make revenue from new sources, such as from mobiles phones and business solutions. The business expansion resulted in a rapid increase in employee numbers at Huawei. In 2009, the company had about 95,000 people on its staff. The figure climbed to more than 146,000 in 2011. "Huawei has demonstrated that it has a tough, ambitious character," the expert said. "It always hopes to achieve big goals at an unprecedented speed." To fill out the staff of its enterprise business unit, which provides IT products and services, Huawei hired roughly 20,000 employees in a short time period. "But gradually, the company found the real market demand was lagging far behind previous expectations," he added. "Therefore, the new department was under a lot of pressure." Tina Tian, a telecom industry analyst at Gartner Inc, said Huawei's enterprise business is going well, but it is still unlikely to recover the money it had invested in the sector in the next two years. "Huawei has a declining profit," Tian said. "It is necessary for the company to constrain the loss, especially amid the current turbulent economic scenario." Huawei appears to have hit a plateau in recent years in its attempts to develop its market for traditional carrier network infrastructure, which is its chief revenue source, partly because global telecom carriers have flattened their spending. Huawei occupied 16.5 percent of the world market for carrier network infrastructure in 2011, bringing in $13.5 billion in revenue. In 2010, Huawei's share of that market was 15.7 percent, generating $12.3 billion in revenue, according to Gartner.